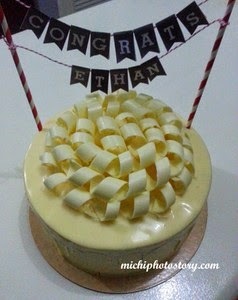 It was my son’s graduation last week so we went to Purple Oven to buy a cake since he wanted a graduation cake. 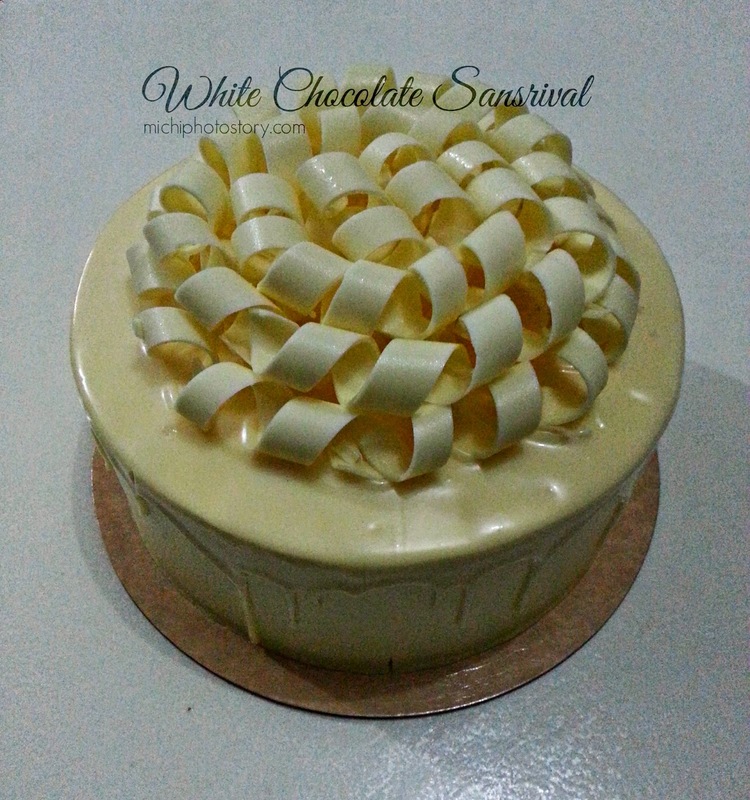 Last year, I bought Classic Sansrival so for a change, I chose White Chocolate Sansrival P860. It is a sansrival cake coated with white chocolate. Simple and elegant cake. Last year, my son can finish 1/8 slice of classic sansrival but with this one, he just like to eat the white chocolate. We loved this cake, so far Purple Oven doesn’t disappoint me with their cake. Parang lahat ng natikman ko na cake nila, ok ang lasa. I printed buntings day before graduation to put it in my son’s cake. Thanks to Wowa for the graduation cake. I've heard so much about Purple Oven… I'm more curious now and hopes to get a bite from their delectable sweets..